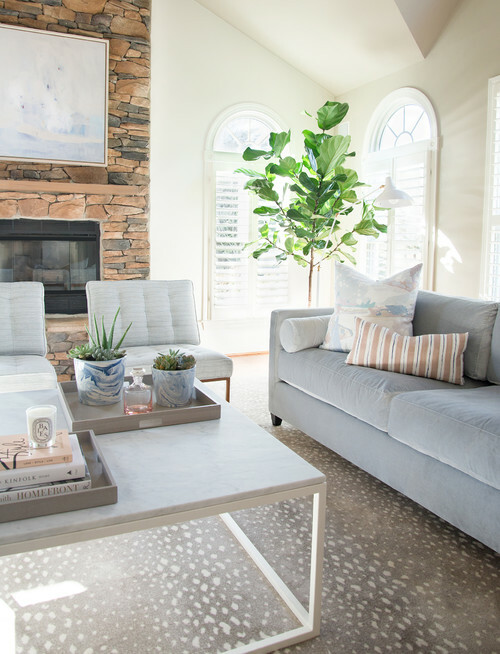 As designer and shop owner, Lisa insists that clients forget the rules and trends of ordinary decorating and bring your own passions, favorites, and inspirations into your home. Since 2010 her appreciation for the beauty and history that come with vintage furnishings have made incorporating these magical pieces essential in every Barefoot Dwelling design project. Whether we are converting beautiful antique dressers into bath vanities, making one of a kind beds from metal pipe, or sourcing the perfect vintage accent piece each Barefoot Dwelling project is a collaboration between designer and client. Born and raised in the capital city of Hungary, Katalin Farnady developed her interest for style, design and architecture in her early age and they remain her life's passion. After graduating from business school in Hungary, Katalin moved to the United States and has been designing residential and commercial interiors for the last 17 years. She enjoys challenges in all areas of design and loves to listen to her clients’ needs and dreams that she then brings to life. Each of her projects is very close to her heart and there is nothing else she would rather be doing than creating fine interiors. ​Katalin graduated with honors from AACC and Marymount University in Arlington and became a member of the American Society of Interior Designers in 2002. Katalin is listed in the Who is Who as well as in the National Dean’s List. Attending various lectures on design development in the United States and outside of the country helps her monitor the continual evolution of the design world. At Melissa McLay, their goal is to create environments for you that are beautiful with an emphasis on comfort and simplicity. By using a mix of current design and traditional elements, they are able to achieve interiors that are fresh, functional as well as timeless. 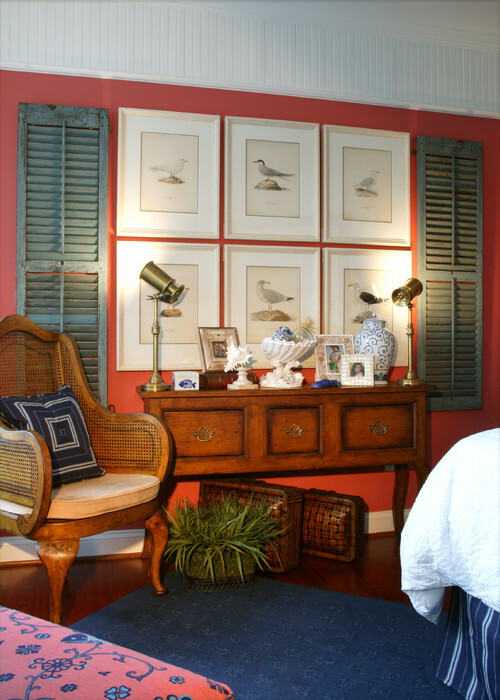 Spaces can be personalized by adding elements from your collections of artwork and heirlooms. Their vendor relationships allow them to offer a selection of gorgeous fabrics, wallpaper, furniture, cabinetry, tile, lighting, hardware, rugs and accessories. This includes items available to the trade only, so your home is guaranteed a custom look. The professionals they work with, including architects, custom builders, upholsterers, closet installers, tile craftsmen, electricians, carpenters and painters are exceptional. They make it their business to provide the highest level of quality to implement your design and provide the custom home atmosphere you want. You can contact Melissa McLay Interiors at 410.262.6205 or email her. They are located in Severna Park. Owners Barbara Rasin Price and Leah Deane have been helping Annapolis and Maryland residents for 18 years with consignment of new and gently-used furniture, antiques and decorative accents. Leah brings 25+ years of furniture and design experience to the 7500 square foot showroom. Echoes & Accents offers excellent quality home furnishings and antiques at outstanding values. They have friendly, efficient, service from designers they have on staff in their beautiful, “fun to shop” showroom. From cookies and coffee to wine and cheese, along with music, it is a one of a kind shopping experience. click the image above to check out their site. Be Home is a place where as soon as I walk in I am in my dream living room, minus some of the merchandise, of course. Each of their products, from furniture to knick knacks, exudes a level of quality that can be hard to find in today's mass produced world. Whether I'm shopping for a last minute house-warming gift or a new sofa, this is a one-stop-shop for classic decor. And in addition to a store front, they also offer custom interior design. Be Home has been around since 1999 and is locally owned and operated. They strive to offer "fine home furnishings, decorative accessories and gifts for best friends." You can find them on Maryland Avenue or reach them at 410-280-8616. In Home Stone was a key contributor to making our house a home, so we want to acknowledge them for their incredible variety to choose from and their great customer service. At In Home Stone, their top priority is offering professional, attentive service throughout the entire process, from design to installation. They help you coordinate the components for your entire project, from flooring to countertops, and fireplaces to backsplashes. A trip to their sprawling showroom is the only one you need to make in your search for natural stone or tile. Because they insist on unmatched quality and a diverse selection, they purchase the finest quality stone directly from Brazil, Norway, India, Italy and Australia. Vendors from the most reputable and robust international quarries source stunning, resilient natural stone and deliver it to them directly. Since they serve as both your supplier and distributor, In Home Stone can pass the value directly to you, their customers. Working with In Home Stone means their customers never have to compromise quality to get the best price for their investment. A locally owned business, In Home Stone understands the sensibilities of their Bay Area friends and neighbors. They're invested in the community and have a stake in your satisfaction. They enjoy a shared commitment to showcasing the best the industry has to offer in materials, craftsmanship and service. Their tenured, skilled staff members - more than 40 of them - are top-notch professionals, and each one takes pride in their work. Whether you’re updating your kitchen, bathroom or office space, your satisfaction is their passion. 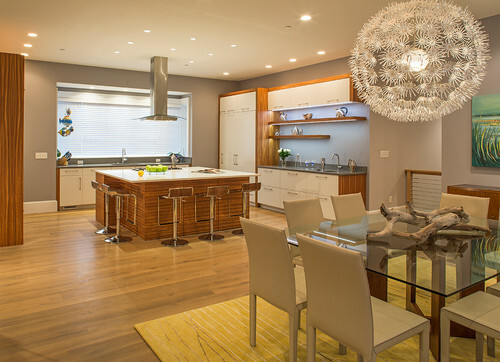 Johker Design offers Interior Design and Architectural services specializing in modern and transitional interiors. They are a husband and wife team that have been working together for over 25 years in the Architectural Design and Construction industry. They are passionate about design and their goal is to have you love your space as much as they enjoy creating unique designs that reflect your personality. Johker Design is constantly keeping up with the latest trends in design and have a keen sense of timelessness. This week we are focusing on a local business that will help you get your house fitted with all the technology you can dream of. Their services range from in-home movie theaters to remote controlled window shades, security systems to sound systems, and much more. Meet Chesapeake Smart Homes. With many years of expertise in the electronic industry, Chesapeake Smart Homes(CSH) is a leader in developing quality designs, an authoritative figure in consulting, and highly trained for integration. CSH was established in 2001, with the vision of quality and stability. In an industry where shops are opened and closed left and right, quality and stability couldn’t come fast enough. For CSH, that day came in 2003 when the company was bought out by it’s current owner, Frank DePew. Frank brought fresh ideas, making the vision of quality and stability a reality for CSH. Quality is a three-fold process for them. It starts with their products, then their employees, and ultimately ends with the services they render. Their product list has grown into a stable, well known, list of brands that have been proven over time. Their employees are quality professionals that know the industry and have an extensive knowledge of the products that they work with. Their services are full circle – meaning that they have the capacity and knowledge to handle your project from it’s beginning design stages to the very end of the project. CSH has been featured in several magazines including Chesapeake Home and Baltimore Sun. They hold the CEDIA Installer Championship for 2005, 2006, and 2007. They are currently building a studio quality theater in their showroom. If you want to learn more about Chesapeake Smart Home, call and schedule a time to go in and learn more about what they do and who they are first-hand. Simply Wesley is a full service interior design firm located in Annapolis, MD. Owner Wesley Thompson has been in the design business for over ten years and has had the pleasure of designing homes and building relationships in the Baltimore/Annapolis area, as well as DC and Virginia. Her very collaborative and hands-on approach to design allows her to hone in on clients’ needs and wants on projects large and small. From working with architects and builders, AutoCAD design, and selections of furnishings, fabric, and lighting, the scope is broad. Wesley brings a tremendous amount of passion and energy to each project, making the process seamless and fun. Teresa Buchanan, ASID has 30 years experience in residential design. While based in Annapolis, MD, she has worked on projects in a dozen states and in a wide range of styles. She is a Certified Interior Designer and a Licensed Home Improvement Contractor in Maryland. Her work has been featured in national magazines such as "Southern Living" and "Better Homes & Gardens" as well as local publications including "The Washington Post" and "The Baltimore Sun." Baltimore Magazine identified Terry as one of the area’s leading professionals in an article on how to work with a designer. Click on the image for more information on Designline. We are head over heels in love with this trend we are not only seeing more and more of but also seems to be a new classic. It's easy to work with, adds punch to any space yet is gentle enough to not be offensive. And why stop in your home? It's a lovable color no matter where you look. Fun to experiment with on your own, the neon green the indigo is before the air oxidizes it into the blue is exciting to watch. When I go into the house of a new client and see wallpaper in a space larger than a coat closet, my immediate reaction is to take it down. I understand that their wallpaper may be very expensive or brand new or incredibly tasteful. I may even love the wallpaper so much that I want to put it all over my house. But this isn't about what I like or the client's tastes. This is about what the buyer sees and wallpaper can be an instant road block in the way of a contract. Think of wallpaper as furniture. Often very distracting furniture. People may tell you how much they love it and ooh and ahh all over. Buyers may even do the same. But even buyers who love your wallpaper will often (and I say often because I see this happen over and over again) be unable to envision themselves in the house. The wallpaper is automatically associated with the current owners and therefore not for buyers to have; in their subconscious minds. Plus, they may become so enamored by the wallpaper that they fail to fully notice the incredible view that is just beyond the wallpapered wall. There are few exceptions to this rule. Again, anything smaller than a coat closet might be alright. Also, it does depend on the paper, such as the powder room to the right. It is far more neutral than the paper on the left, and much easier for buyers to envision their things in that powder room. But please keep in mind, this is a powder room, which is not much larger than a coat closet. So in case the message wasn't clear enough already, if you are motivated to sell your house, remove the wallpaper. ​Have a happy Labor Day Weekend! Gina Fitzsimmons ASID, Interior Designer, specializes in waterfront homes. 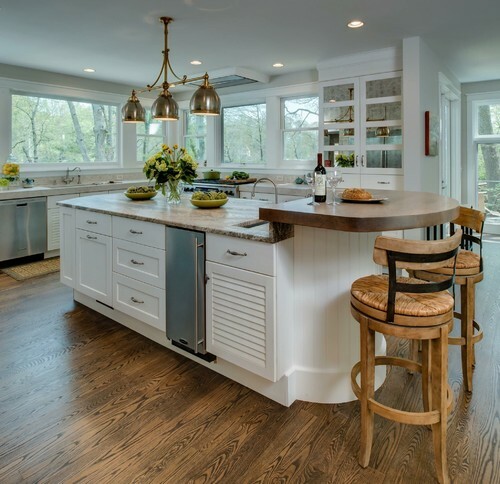 Gina founded the company in 1991 to provide clients with the right blend of professional design, personalized service and interior effects that suit Chesapeake living. Living on the water in Annapolis, Gina has a unique feel for design that works well in the Chesapeake area. Seventy-five percent of her clients live on the water. Well known and well respected in the community, Gina has strong relationships with the leading local contractors and has a huge base of loyal and satisfied clients. Gina can meet with you at your home, set priorities, design and install your current project and finish the final touches that personalize your design from her Retail Store Details of Design in Annapolis (www.detailsofdesign.biz) It's the details that count! You can giver her a call here: 410-269-1965 or click on the image above to be directed to her Houzz account. One trend we've been noticing lately here at AWG is the influence of the outside on the indoors. Any time a natural object - living or not - is brought inside, it has a way of softening the space; transforming a house into a habitat. And the best part about these elements is that they work in absolutely any space, regardless of architectural style or interior design. There are many ways that natural elements in the home are obviously here stay, the most common being house plants, or marble counter tops and wooden furniture. But because we are talking trends, let's take a look at some other forms of nature on a small scale that compliment any home or style. Attention to every detail is their focus for their luxury design services. Dream House Studio's approach is to complete entire rooms, groups of rooms or homes in a single installation. They exceed their client's expectations by maintaining open communication, listening carefully to their needs, visions, and personal style to design a space that is uniquely theirs. They work closely with builders and their sales and marketing teams. Whether designing for an entry-level home, luxury estate or community center, Dream House Studio creates a unique experience for each project. Purple Cherry Architects is a high-end residential architecture firm serving the Eastern United States. Their firm specializes in custom, luxury residential projects featuring elegant architectural detail and beautiful spaces that excite and reflect their clients. The Principal, Cathy Purple Cherry, brings 25 years of experience to her work; the firm aspires to a level of beauty in the homes it designs through views, details, and planning strategies that are awe-inspiring. The firm’s designers are talented, visionary, detail-oriented, and attentive. Since 1974, the Waldhauser family has grown Kenwood Kitchens into a premier kitchen and bath company in Maryland. With showroom locations in Columbia, Lutherville, Annapolis and Bel Air – they can provide the complete remodeling process; from design to installation while supplying all materials and labor. Kenwood Kitchens also works with Architects, Contractors, and Interior Designers – providing design, cabinetry and installation when needed. With over 25 years of experience in the in Interiors and Architecture business, Johker brings a wealth of knowledge to each project. From complete interior renovations to refreshing a room they strive to make your home a beautiful extension of you and one that you will love for years to come. It's not the sort of kitchen you might expect to find in the home of empty-nesting senior citizens. But these particular senior citizens are full of surprises. For instance, this kitchen holds court in the middle of our town’s trendy and trending restaurant and retail renaissance, Annapolis Towne Centre. In fact, it’s perched at the very top of it. Designer of the Week: Interior Concepts, Inc. Interior Concepts is headed by Arlene Critzos, a graduate of Mount Vernon College in Washington, D.C.; a student of the Foreign Study League, University of Rome; Norwick College of Arts in Holland, and St. Gabriels College in London, England, as well as a member of the American Society of Interior Designers (ASID). They are a full service, award-winning design firm with 46 employees, a 50,000 square foot warehouse, their our own delivery service and a top tier roster of clients. Imagine Surfaces is a supplier of exclusive stone and countertop surfaces located in Annapolis. They are the area distributor for Vetrazzo recycled glass, and focus on hard to find unique marbles, onyx, and quartzite. In addition, they are a local supplier of Alberene Soapstone.